If the initial meeting between the two principle members of The UFO Club lacks the drama of an alien invasion, their music is only that much stronger for it. Indeed, if the UFO Club felt confident that their collaboration would be a fulfilling one (and as described in the interview below, they did), that same confidence was found in the listeners who awaited entrance into this Club. That confidence stems, of course, from the knowledge that The UFO Club is a collaboration between Lee Blackwell – he of the mighty, mighty Night Beats – and Christian Bland, recently of Christian Bland and The Revelators, along with some other band we keep meaning to check out (a band obsessed with fishing, apparently? The Black Anglers?). When that first identifiable object from The UFO Club was released in the form of a split 10” LP with The Night Beats, surprised faces may have been few, but smiling ones were no doubt countless. The songs of The UFO Club activate their wonder-twin powers to resist the dour pull of gravity, floating care-free in the weightless atmosphere of rock and roll, switchblade-sharp and far-out fun. In advance of the release of their full-length debut album and a rare appearance in human form at Austin Psych Fest 2012, Lee and Christian were kind enough to give us a look around their private club. Enjoy. Would each of you take a moment to describe when and where you first met? Was it immediately obvious to you that there was a musical kinship, or did even the possibility of such a relationship take time to develop? What is something you assumed to be true of the other when you first met, but have learned is in fact not true? And vice versa – what is something you assumed to not be true of the other, but have learned is in fact true? LEE: We met when we played together at a house show together in Austin during SXSW. I really enjoyed his music and wanted to hear his solo stuff live. It was pretty instant. I didn’t make many assumptions, aside from what I could gather through his music, as in I wanted to see for myself. One’s music usually says a lot about a person. CHRISTIAN: We invited The Night Beats to play at Austin Psych Fest 3, so that’s where we first met. Lee came up to me at the festival and asked me if I wanted to record together, and The UFO Club was born. I had no preconceived notions of Lee, except that I was sure he was into the same music I was, given the sound of The Night Beats. We’re familiar with The UFO Club as a legendary London club at the time of the emerging psychedelic scene in the 1960s – was this your inspiration for the name? What does the name represent to you aside from merely being a reference to the past? If you could go back in time to see any one of the following – Soft Machine, The Crazy World of Arthur Brown, or The Incredible String Band – play the original UFO club in 1967, which one would you choose and why? The club was the primary inspiration, but also I’m a believer, so me and Christian have that curiosity in common, other worlds and levels of reality. Something like that. CHRISTIAN: Yeah, it was definitely the inspiration. I’m pretty obsessed with Syd Barrett, so I’d wanna see The Pink Floyd. The name has a double meaning. I’ve always been into unidentified flying objects and unsolved mysteries. Is there one particular club that you did actually visit with frequency in your adolescent or post-adolescent years that you hold in your mind as being one that really helped to develop your sense not only of music, but also of belonging to a musical community? Or perhaps one that reminded you that you have no interest in being a part of certain musical communities? What was it about this club that makes it notable in your mind? LEE: Chess club – there were no musicians and I liked it. Me and some friends founded a club in high school called “Brothers in Soul,” where we just met up, got high and jammed. We got it to be school sponsored, too – hah. I wasn’t really into taking classes about music or guitar. I much rather preferred spending time listening to music and spending time on my own. CHRISTIAN: No. I never went to clubs as a kid. I lived in the suburbs outside of Houston. I did all my music listening in my room. We’ve written previously about comedian Marc Maron, who in his 2001 memoir, “The Jerusalem Syndrome, “ mentions a melon-baller once owned by his grandmother and describes it this way: “I use it in the summer as a device to go back in time.” To what degree do you personally use music as a device to go back in time? What are the pleasures you get from this? What are the dangers? LEE: I only time travel in my sleep. However, music transcends and looses the sense of time for me. There are no dangers. CHRISTIAN: I use music to time travel forwards and backwards. I think the 50’s and 60’s was the golden era for rock ‘n roll and I’d like to bring that back to the forefront. To me, that’s not really “vintage” rock ‘n roll. Given the time humans have been on earth, it’s only 50-plus years ago – that’s nothing in the span of human existence. It’s the best music and it needs to be preserved and pushed into the future and expanded upon. Would you care to comment on the rumor (the rumor that we are attempting to start right now) that both of you are planning to take a break from performing at the upcoming Austin Psych Fest 5, instead choosing to spend your time as food vendors, shilling the “UFO Club Sandwich”? In addition to the traditional turkey, lettuce, tomato and bacon, is it true that the UFO Club Sandwich also contains mushrooms? CHRISTIAN: Yes and yes is no. 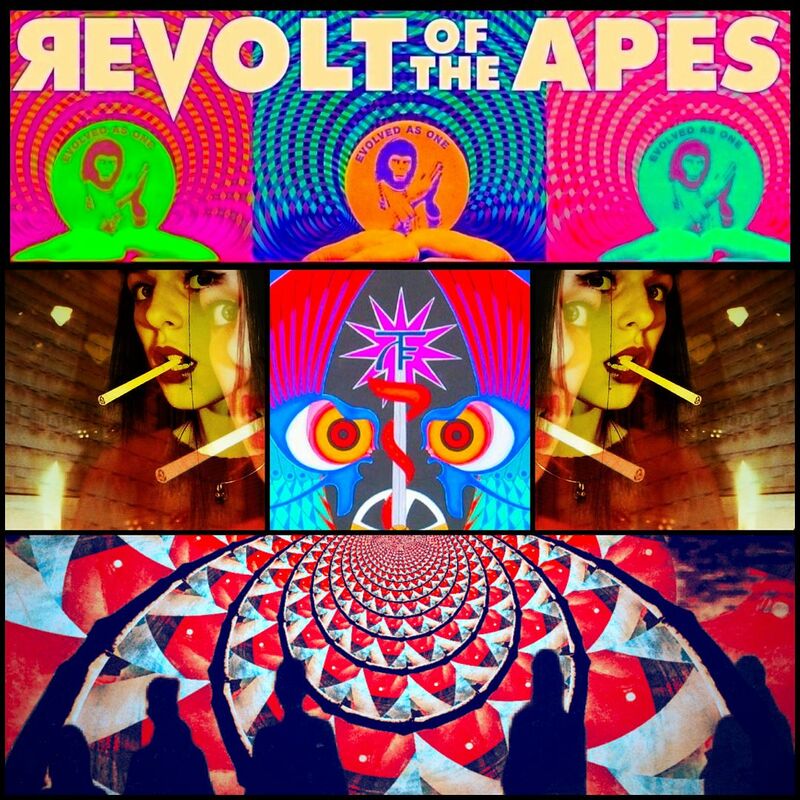 What are your plans for a follow-up to the split 10” EP with The Night Beats? How, if at all, do you anticipate your next recording will differ from the EP? What is the process – to the extent that there is one – when it comes to writing and recording with geographically separate home bases? 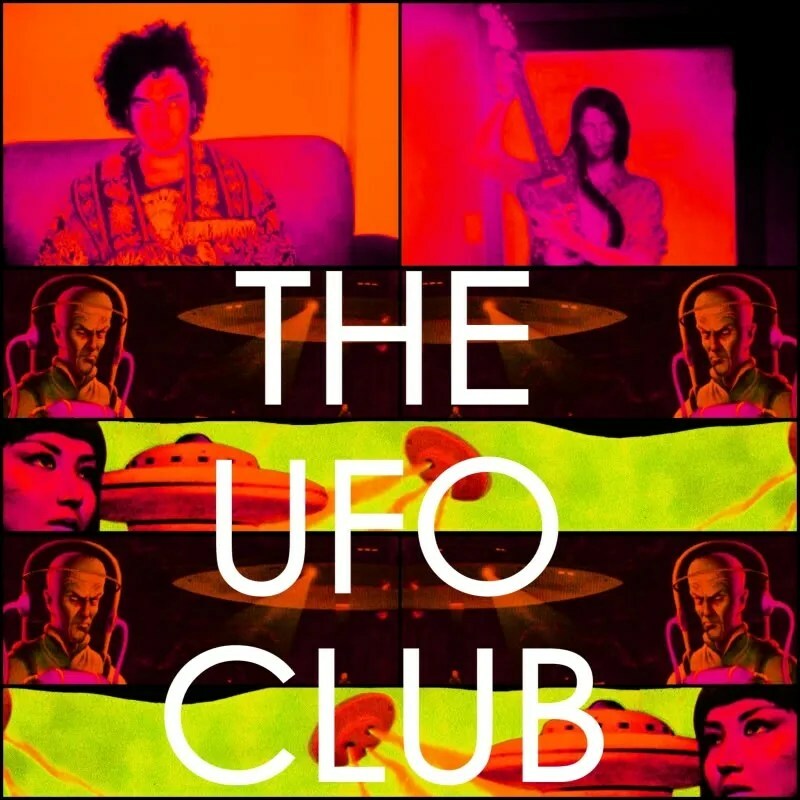 LEE: The UFO Club full length is out early 2012. There is no process. We don’t want one. CHRISTIAN: The new UFO Club full length will be out in mid April. So it’ll be available at this year’s Austin Psych Fest. The process is just to play together and take the best stuff that comes from it. The album has been done for awhile, with the exception of a few overdubs, so it’s been a long time coming. Where did the idea to cover the Ronettes’ classic “Be My Baby” originate from? What makes the work of Phil Spector so compelling even today, aside from his apparent and longstanding lunacy? If you could duet with Ronnie Spector on one number for the next UFO Club album, what song would you choose and why? LEE: Christian does a great cover of it, so I threw out the idea to both work on a recording and put it on the record. Ronnie does a great version of “There Is An End” – that would be fun. “Mashed Potato Time” would be hilarious, too. CHRISTIAN: I love The Ronettes and Phil Spector, so I wanted to cover “Be My Baby.” The Wall of Sound is indestructible. I’m not sure about a duet for the next album – no tunes have been written yet. This may be the last time. You’ll understand when the album comes out. What music have you been listening to lately? If push comes to shove, what is your favorite song by The Sonics and why? 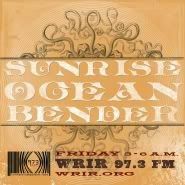 LEE: Soul music, early punk … Lantern from Philly and Cosmonauts from Cali are two great young bands I’ve been diggin’. And I guess a lot of this new project I’m working on with my friend Curtis Harding – he’s got unreal talent. CHRISTIAN: Lots of Zombies and Beach Boys. Favorite Sonics song – “Strychnine.” It’s got hard lyrics. I’d want that guy on my side. LEE: William thinks magic is the real thing? What people feel and want and are? I’d have to talk to him personally to understand his view on that. But the idea that rock music can be a way to break out from a mold, I do believe in. Just like any form of expression or art. Rock music is maybe more deliberate. CHRISTIAN: I don’t think there’s black or white, just gray. What’s right or wrong is relative. Just treat others how you’d want to be treated in return. I believe there’s good and evil. Black magic deals with casting evil upon someone and white magic is done for the good of man, from what I understand. I don’t practice magic – I just play music. I agree with his last statement. What’s next for The UFO Club? ← THE BAND IN HEAVEN IS THE BAND IN THE VIDEO!